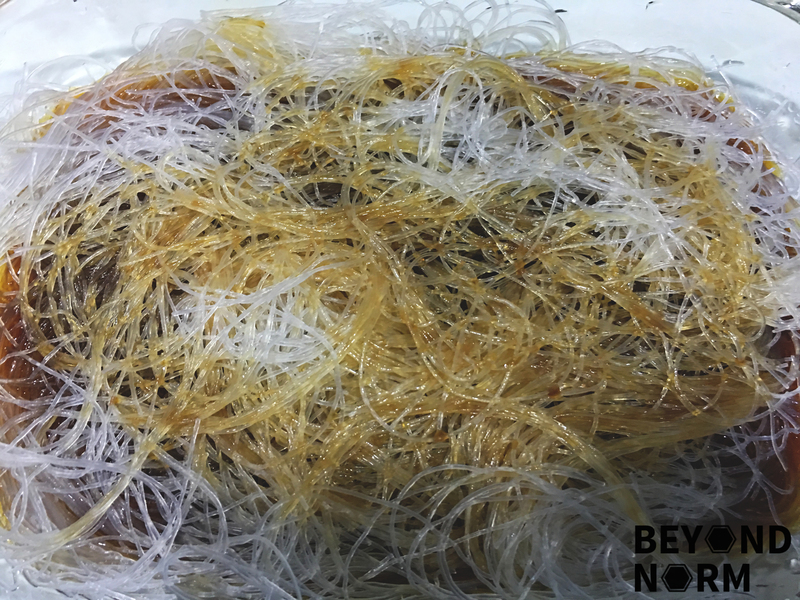 Goong Ob Woosen is a classic and iconic dish of Thai seafood restaurants. Mmm…. 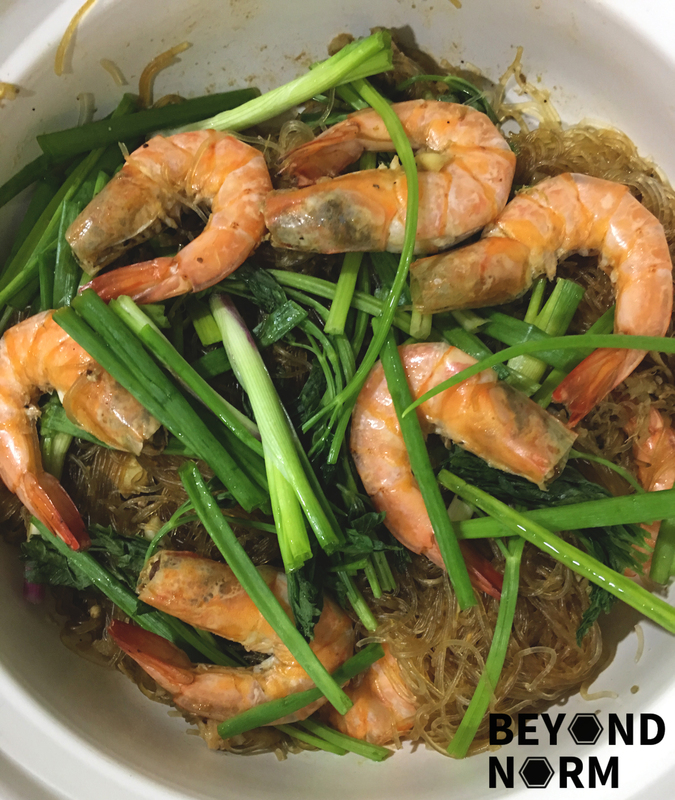 The spices, a mixture of sauces, the freshness of the prawns, not forgetting some pork belly, and the glass noodles, traditionally baked in a clay pot over the stove top. Here it is a pot of irresistible, uniquely intricate layers of flavoured noodles!! Soak the glass noodle in water for 10 minutes or till it is softened. Drain and set aside. 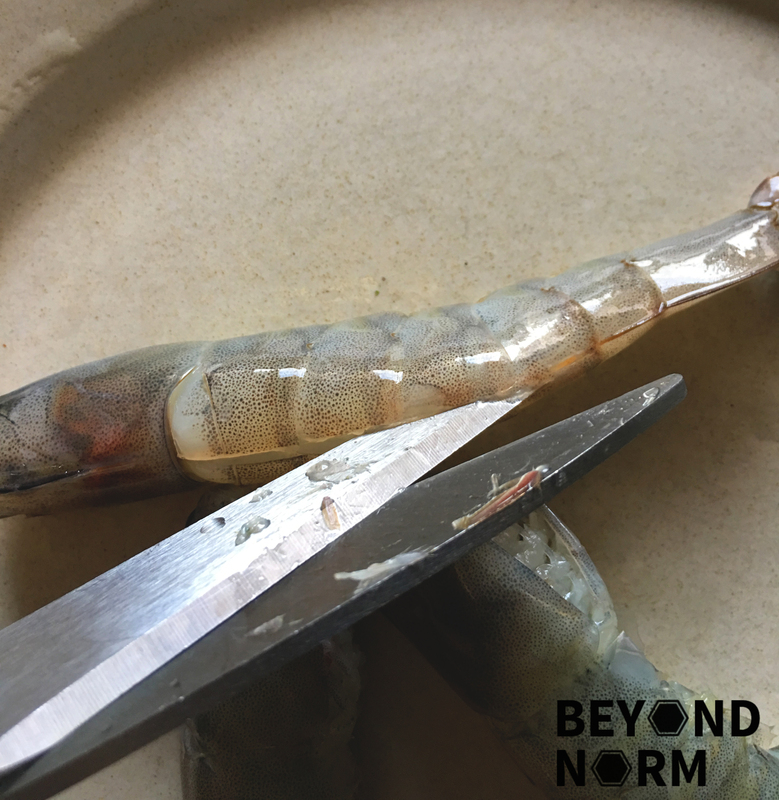 Trim off a small portion of the prawn heads that have the eyes and antennas, the sharp pointy end on top of the head (highly recommend) and the legs. 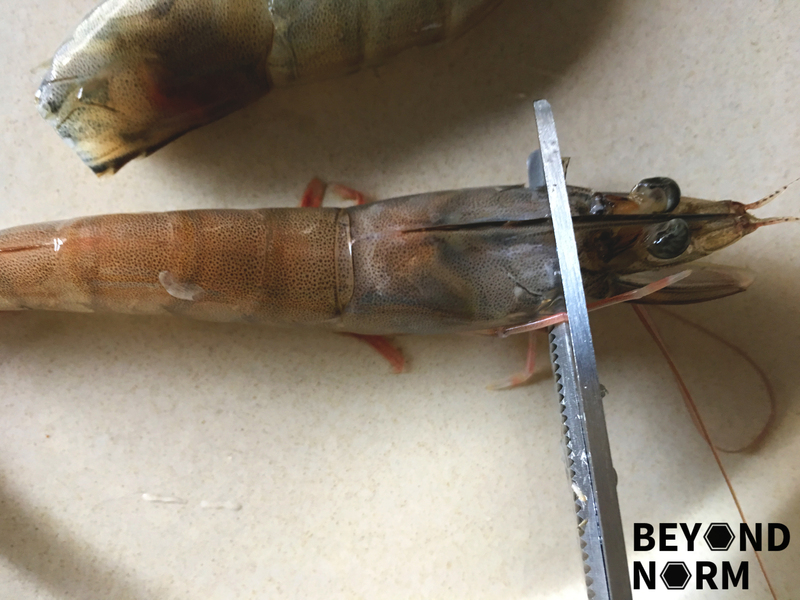 Using pointy scissors, cut the back of the shrimp shell open all the way to the tail and remove the vein. Rinse and set aside. Mix all sauce ingredients together and stir until the sugar is dissolved. 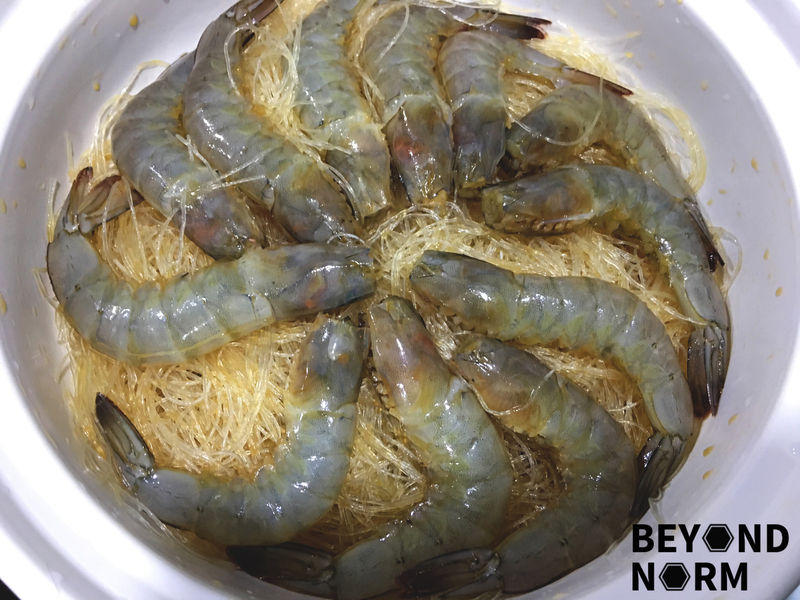 Next put the noodles and the prawns into a wide dish and then pour the sauce over top. Toss the noodles and the prawns in the sauce then let it sit for 5 to 10 minutes, stirring it half way through. 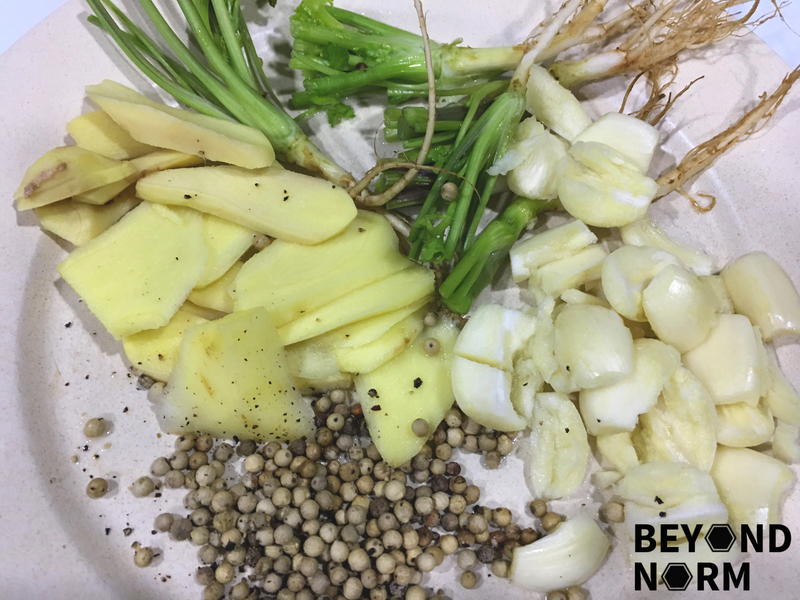 Grind the peppercorns in a mortar and pestle until fine. Add the garlic and smash just until broken into pieces. Add cilantro stems or roots and smash them just to bruise. Heat some oil in the pan and add in the smashed herbs and ginger. Stir till fragrant. Place your thinly sliced pork belly at the bottom of the clay pot. 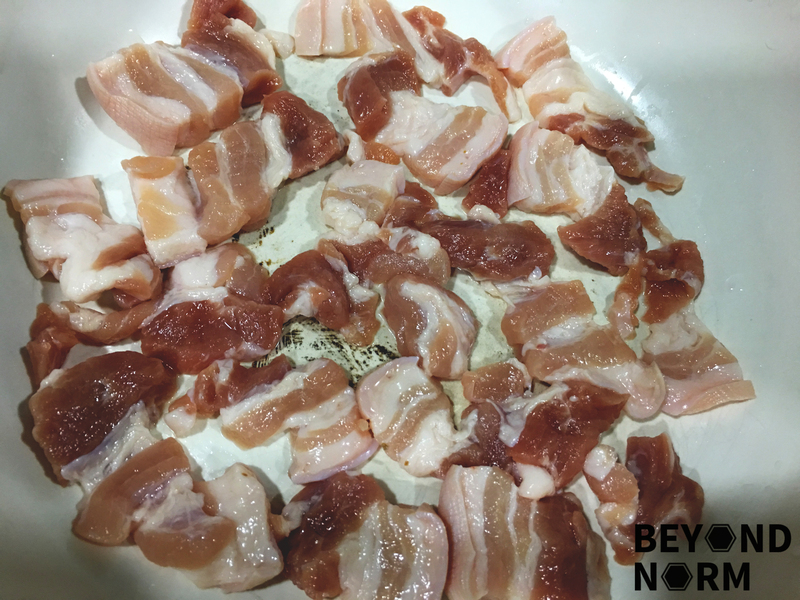 Transfer the aromatic herbs and ginger and place them on top of the pork belly. Add the glass noodles to the pot and pour in the sauce. Lastly add the prawns on top. Cover and cook on medium high heat till the sauce is just boiling. Lower the heat and let it simmer for 3 minutes. 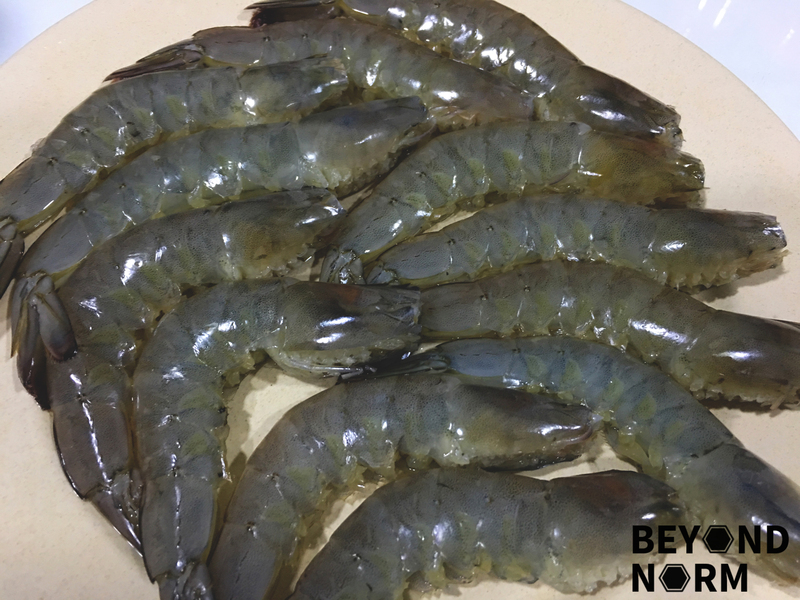 Now open the pot and stir the noodles and prawns so that the sauce is evenly distributed amongst them. 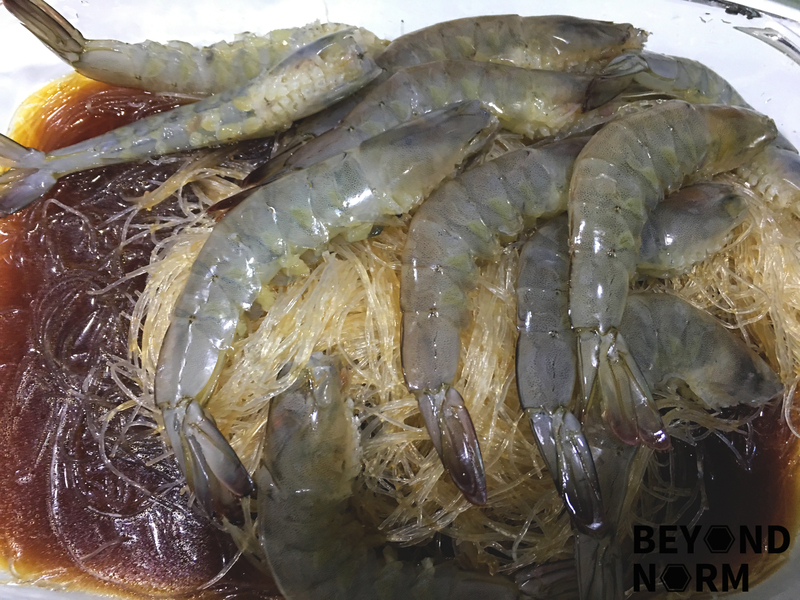 Cover and cook for another 2 minutes or until the prawns and the noodles has absorbed the sauce and cooked through. Turn off the heat and top with the spring onions and Chinese celery leaves. Cover to let the herb steam for at least one more minute or until ready to serve. 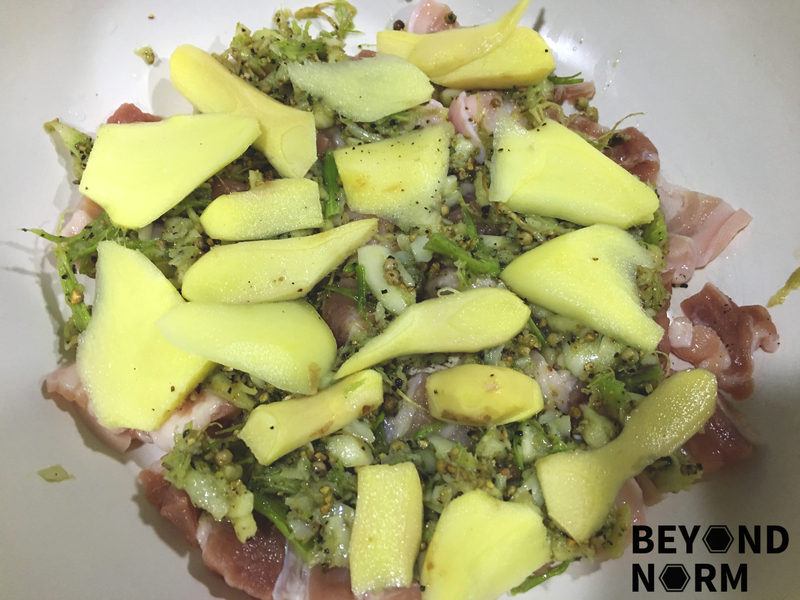 The seasoning can be adjusted to your taste.